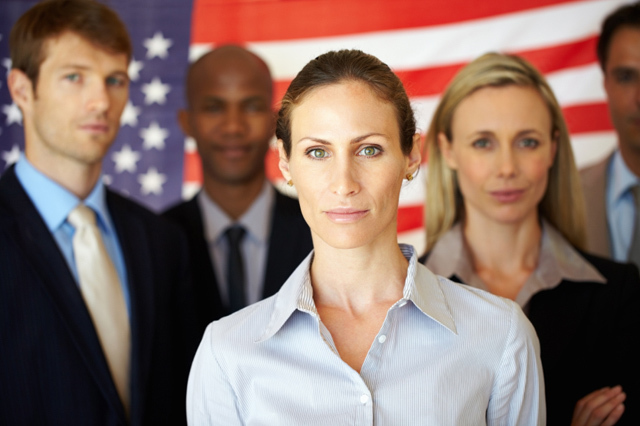 Diversity hiring is more important than ever for federal contractors. Beginning March 24, the federal government will enforce new disabled and veteran hiring benchmarks – 7 percent for disabled workers and 8 percent for veterans. The new rules are the latest in a series of more stringent rules for contractors. The government emphasizes that the new numbers are ‘goals’ not quotas. But the benchmarks must be included within the company’s Affirmative Action Program, and failure to meet the new benchmarks or document your diversity hiring efforts will increase the likelihood of an audit by the Office of Federal Contractor Compliance Programs. The number of affirmative action violations has grown significantly over the past decade, with 2,682 violations cited by the Department of Labor in 2011. An audit costs significant time and money, in the best case. In the worst cases, companies are barred from doing business with the federal government. New federal contracting policies mean diversity hiring isn’t just nice to have on the agenda, it’s essential. You’ll need to demonstrate how diversity hiring is a priority, and what steps you’ve taken to reach out to disabled persons and veterans. Here are a few tips to consider as you put together your strategy. Build relationships with local Veterans Service Organizations, non-profits and government agencies. Provide them with information about your company and your hiring needs and stay in touch. Look for opportunities to reach out to vets while they’re in school, as well. Federal contractor CACI is a corporate sponsor of the Aurora Foundation, which facilitates 8-week internships for transitioning vets currently enrolled in universities. Reaching out to vets early helps pave the way for a future hire. A great healthcare plan and 401k are certainly worth promoting, but understand that different benefits may seal the deal for disabled workers and vets. For a veteran who has missed his child’s birthday too often over the past decade, flex time may be the number one perk. For other candidates, a private office may be critical. Dig into an applicant’s personality and preferences to find out which benefits make the case for your company. And be sure to highlight those in future job postings and at company hiring events. Referral programs are great – but expect those who participate to nominate other candidates ‘like’ them. If your workforce is homogenous, your referral program is not likely to be a fountain of diverse talent – but it’s a start. Reach out to veterans and minorities within your workforce, pull them into focus groups, and get their feedback. Make sure they find your office to be a friendly environment for others like them. If they don’t, work with your management to fix those problems before you expand your diversity hiring efforts. A toxic workplace will kill diversity and community, whether it’s your corporate office or a client site that’s the problem. When it comes to online networking for diverse candidates, groups offer a great opportunity to drill down. Within the Cleared Network at ClearanceJobs.com, there are groups for each service branch, as well as wounded warriors – they are a great place to target your veteran hiring initiatives. The biggest aspect of new federal hiring rules is their requirement for records-keeping. Ensure you request disability and veteran status from all applicants, and keep careful track of those records. ClearanceJobs.com retains account activity for three years, giving you easy access to your hiring history. CACI’s commitment to diversity hiring has been recognized often in the past several years. CACI has more than 15,000 employees in over 120 offices, and it offers a variety of programs to attract disabled and veteran workers. What makes CACI’s diversity hiring initiatives so successful? They’re a business imperative, say company reps. A diverse workforce offers clients a greater range of talents, solutions and services. CACI has a dedicated Veteran Support and Recruiting office. The team includes veterans and reservists who are intimately familiar with the unique needs of service members. This team offers a vital ‘first impression’ for interested employees, and demonstrates that vets and disabled workers are joining a company that understands their needs. Don’t have the staffing resources for a dedicated veteran and disabled hiring expert? Bring employees on board to offer their insight and experience, and consider creating a special group to be ambassadors for your company, both at hiring events and in interviews. Support after the hire is also critical. CACI recently launched a Veteran Employee Resource Group which allows employees with similar professional interests and backgrounds to meet, share ideas and form mentoring relationships. These kinds of relationships play a critical role in employee retention. Because new disabled and veteran employee benchmarks apply to the entire workforce, it’s critical to not just attract diverse talent, but keep it. Mentoring relationships are a great way to do that.